If you missed seeing this documentary, come to Colorado College to view, talk and snack. Please join us for the film "Seed: The Life of the Rice King and His Kin" this Wednesday, Feb. 7, 4-6 PM in the Tutt Science lecture hall. 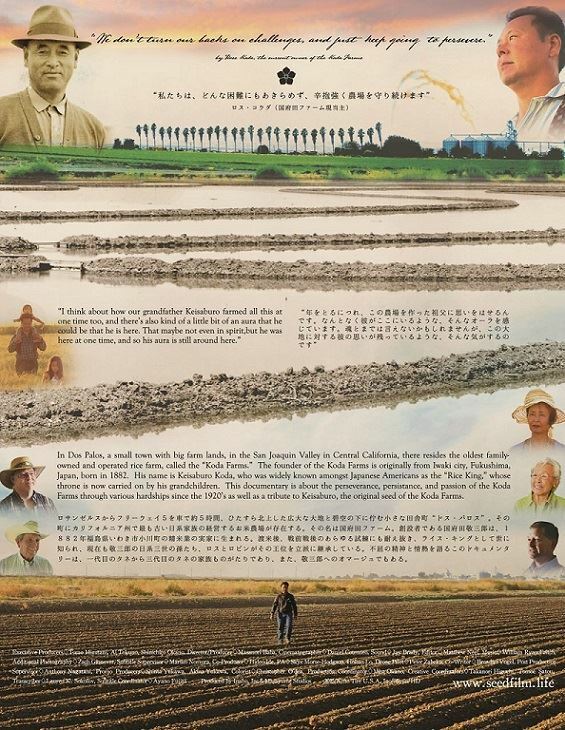 This film examines rice farming by Japanese Americans during WWII. Rice-themed refreshments will be provided! Hosted by the Asian Studies and Japanese Programs and the Department of Psychology. Prof. Jason Weaver's students will be introducing the film and are prepared to interact in a Q & A following the film.